A stay at Holden House is worth the price of admission to one of the most Scenic Byways in the state of Colorado. Mountain vistas and historic communities abound as you travel the backroads to explore our backyard of spectacular sights, scents and scenery. Don’t miss out on this last minute opportunity to experience “The Romance of the Past with the Comforts of Today” at Holden House. Your last minute plans are our pleasure to serve you in the beautiful Pikes Peak Region! 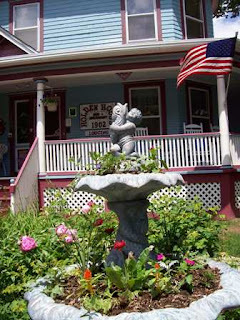 Become a fan of Holden House on our Facebook page or join Innkeeper Sallie Clark at her Examiner.com travel column. Sign up now! Now, take a tour of one of Colorado’s premiere Scenic Byways and don’t forget to book your room now to take advantage of one of our many specials. 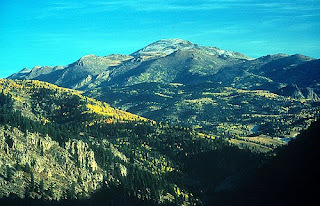 Perhaps a spa experience, biking down Pikes Peak, rafting in the Arkansas River, walking over the Royal Gorge bridge, taking a Gourmet Lunch train ride, hiking in North Cheyenne Canon Park or Red Rock Canyon, get on the Cog Railway or Highway to Pikes Peak, taking a horseback ride through Garden of Gods. Sallie and Welling Clark and our friendly assistant innkeepers are here to make your stay something special to remember. The gardens are blooming with hydrangeas, hybiscus and peonies. And those porch chairs are just waiting for you to “sit a spell” on our wide Victorian verandah, with the scents and sounds of nature as a backdrop for your relaxing afternoon. Simply driving the Gold Belt Tour in Colorado is an adventure in itself. While following historic railroad and stagecoach routes leading you to North America’s greatest gold camps, you will find yourself traversing between narrow canyon walls and along excitingly steep drop-offs. Although the area is no longer bustling with the activities of the gold rush, you can still “strike it rich” with views of outstanding scenery and limitless recreational activities. As you drive the byway, watch for the hundreds of historic gold mines that surround the communities along the way. Get a real feel for the gold rush days when you visit Victor’s National Historic District and Cripple Creek, the historical hub of the mining district and a National Historic Landmark. Most of the buildings built in the early 1900s have been restored to their original likeness, and will give you an authentic look at what life must have been like on the road to riches. Once you’ve discovered gold mining of the past, visit Victor’s new active gold mine. See for yourself the toil and backbreaking labor that went into gold mining in the 1890s and how technology has improved the miner’s endeavors today. action from the past to be found on the byway. Get a glimpse of what life may have been like long before gold miners came to the area when you visit the three fossil finds located on the byway. See evidence of Earth’s prehistoric life in the 80,000 fossilized specimens of tree stumps, insects, seeds and leaves at the internationally renowned Florissant Fossil Beds National Monument. It’s a great place to stop for a picnic lunch and to learn about the past. Communities along the byway supplement the rich culture of this area. Cañon City is currently the byway’s largest community. The Royal Gorge Route Railroad is one of the city’s most distinctive historic sites. You can go to the Santa Fe Depot to purchase tickets for a ride on the Royal Gorge Railroad. Enjoy community events such as the Music and Blossom Festival. In the summertime, old-fashioned entertainment thrives in Cañon City’s Park. Visit the Rudd Family cabin, and then spend the afternoon shopping and exploring the city’s two museums. For more history and museums, make a stop in Florence. The Pioneer Museum contains pieces of Florence’s past. The area downtown is filled with more shops and restaurants. may find yourself holding your breath as you drive across the world’s highest suspension bridge spanning the Royal Gorge 1,053 feet above the water of the Arkansas River. You can walk or drive over the bridge, or take the world’s steepest incline railway to the bottom of the Royal Gorge. Whatever adventure you may be after, the rugged terrain of the Gold Belt Tour has something in store for you. 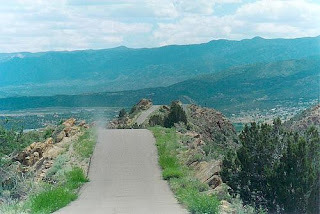 This entry was posted in canon city, cheyenne canon, colorado springs, cripple creek, florissant fossil beds, flowers, garden, garden of the gods, gold belt tour, red rock canyon, royal gorge, scenic byway, victor by admin. Bookmark the permalink.